Maryland Pink and Green: Valentines: Take One! Holidays have practically been abolished at the minnies' school. They are not allowed to dress for Halloween and parties are rarely held at school. Parents are not permitted to send in cupcakes or other treats for birthdays, either. But Valentine's Day is celebrated and the minnies always look forward to it. Every year, they carefully select their Valentines and enjoy putting them together for their classmates. This year, I found the most adorable printable Valentines on Bunny Cakes Blog. You can use the links on her blog to print your own Valentines or visit her etsy store for personalization options. The prices are very reasonable and the result is gorgeous. On our recent snow day, the minnies and I put together some Valentines for their friends at church and dance teachers. The classroom Valentines are still in the works. Here are the little treats we made with the templates from Bunny Cakes. Grosgrain ribbon secures a box of conversation hearts to Natalia's Valentine and Alexia's has a pretty lollipop with it. Early next week, I'll share more Valentine's Day ideas, templates, and how to's. Keep reading! If you're searching for ideas for your little ones, don't worry, I've got plenty of unique ideas for boys and girls. You'll have the best Valentines in the class. And you know you want that, don't you? 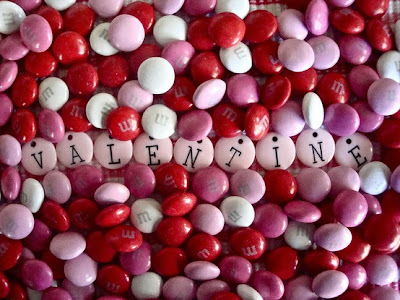 What do you remember most about your Valentine celebrations at school as a child? Great post - it reminds me that I should probably buy the kids' V-day cards now, because the stores run out so quickly. That's a shame that your daughters' school doesn't have Halloween parties and other celebrations - sometimes I feel that schools these days are taking it to the extreme. BTW, thanks for the note about Rue La La, I'll be on the lookout! What is this world coming to? No parties at school? That should be illegal. Oh, how I remember all the holidy parties. My birthday was in the summer and was always jealous of the children that got to bring cupcakes to school and celebrate. I hope you are serious about shopping in Frederick - let's get in touch soon. I am soo ready to blow this place for a few hours and I'd love a change of scenery. Those valentines are absolutely adorable! Thanks for sharing her blog, I can't wait to get crafty and create some of my own! So cute! I loved Valentine's Day at school when I was a kid! Of course all of us are focused on the "no treat" comments about your girls' school. Our school encourages celebrations! The down side is that everything has to be store bought, I guess due to allergies(? ), no homemade!